Would you like to start your own massage business? Like the idea of taking control, making something your very own and creating your own employment? Providing you have enough get-up-and-go and the commitment to see things through, running your own business could become an extremely positive and rewarding experience for you. Here are 10 top tips you’ll be glad to know about. When it comes to massage you’ll have to be fully qualified before you can lease out a room and pop a plaque on the wall. You need to complete either a Certificate IV in Massage or a Diploma of Remedial Massage. 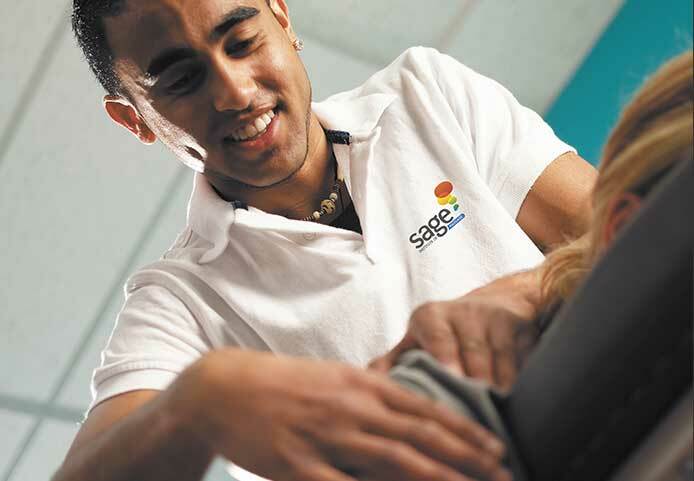 If you haven’t already received these, you can read more information here about massage courses at Sage Institute of Massage. There are lots of different massage associations out there, and some require certain qualifications before you can apply to join. This is a good thing, becoming a member will give you credibility. Additionally, there are some associations that will be compulsory to join if you want to get a rebate with HBF and other private health insurance funds. It can be great fun coming up with a business name, however, think carefully as names are important. You want it to be easy to remember and catchy enough not to forget, but certainly not silly. And don’t try to be too clever. Unusual spellings, e.g., ‘Jooleys Massage 4U’ or ‘Mar-V-lous Massage’ are likely to not give the impression you’re after and just may come back to bite you like a bad tattoo. Similarly, names simply too difficult to pronounce like ‘B’hada’ or ‘Shathabhisha’ may mean something amazing in Sanskrit, but it just might not fly when someone is desperately trying to find you on Telstra connect. Remember: keep it real, and keep it memorable. When it comes to registering a business name, this is a relatively easy process, but it is recommended that you apply with a couple of different name options up your sleeve, in case they refuse your first choice. Many clients will want to claim their massage with their health funds so they can receive a rebate. To make this possible, you’ll need to contact each health fund and fill out the appropriate form to apply for a provider number. If your application is successful, you will receive a unique number which the health funds used to identify you when they are processing the rebates back to your massage clients. Creating a budget for marketing is essential for almost every business, particularly when you start out. However, we cannot stress enough that you need to be careful in this department and don’t get too excited throwing money around. Before you invest in any marketing idea, think it through, read any data on the success of the marketing campaign (e.g. if it’s a newspaper ad or online directory see what the readership is) and don’t make the mistake of thinking that the more you spend, the more you’ll make. It simply isn’t true! Build a basic website. This needn’t be elaborate when you are starting out. Today there are some fantastic platforms out there that enable you to literally build a website yourself. Check out wordpress.com or squarespace.com for two great examples. You don’t need to be an IT expert to get this together, but if you do run into trouble you could always look for someone local that could give you a hand. Check our beginners guide to building massage websites for more. If you’d like some more tips on how to market your massage business, check out our blog “7 small business marketing ideas for your massage business (that won’t break the bank)“. If you’re ready to find a property, rather than working from home, remember that you do not need shop frontage. Certainly a good location that is quiet, easy to get to, has parking and public transport nearby and is close to shops is a good idea. Remember to shop around and don’t be shy when it comes to negotiating with your landlord. When it comes to tables and other furniture, check out second-hand options first. You may be pleasantly surprised at what’s available out there. Have a look at Gumtree or eBay and see what deals are to be had. Take the stress out of tax time and keep all your receipts filed away neatly. You can even keep your bookkeeping expenses down by using clever bookkeeping software like Xero to keep on top of your accounts. 10. Get your first customers and have them running back for more! Once you’ve got the important things in place, it’s time to get massaging. So enjoy your time with your clients, do a great job and remember that repeat business and word-of-mouth advertising is the cheapest and best way of building a business. There are way too many myths surrounding business ownership, mainly spread by well-intentioned friends and co-workers. Some involve terrible tales of woe, filled with toil and trouble, paperwork, long hours and diminishing returns. Others look through rose-coloured glasses, seeing only a dream of total fulfilment, financial reward, and flexible hours, while quietly dreaming up the speech they’ll give at their Telstra businesswoman-of-the-year award. Take it all with a grain of salt. Running a business is not brain surgery, but you simply have to take it seriously, offer a fantastic service and above all – make sure you enjoy yourself.